When Grandpa Ian called and invited us all to go on a business trip to Columbus (OH) with him, we didn't hesitate--a fun family outing with grandparents--yes please! The girls love staying in a hotel and swimming in the hotel pool. 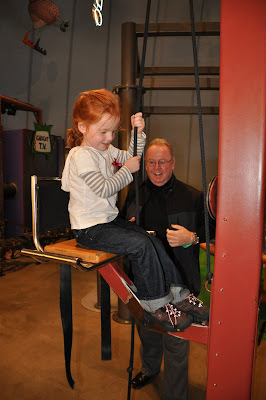 We visited the Center of Science & Industry (COSI), adding another museum stamp to their passports. 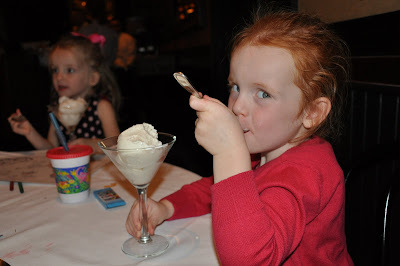 We took them out for one of their first "fine" dining experiences and they did great! 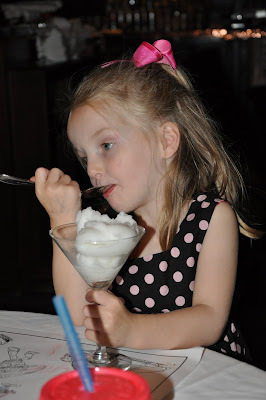 Lindey's in German Village was amazing food, amazing service and they LOVED our dining divas. 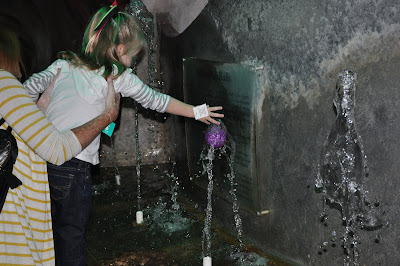 Certainly not something we will do often, but they felt so special and their behavior was amazing. 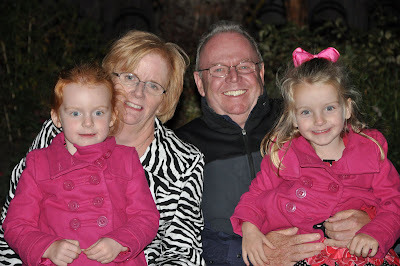 We hit up Easton shopping center the next day and Grandpa & Dad took the girls to see Lion King in 3D while Grandma & I shopped. It was a great trip! Enjoy the pictures. 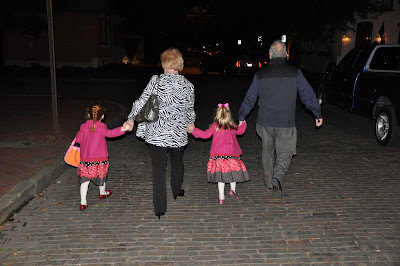 Thanks for a fun trip Grandma & Grandpa! 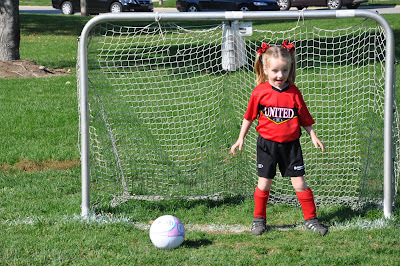 Sitting on the couch in early spring, my wife asked if we should enroll A & L in the local soccer league for under 5's. Of course, I said yes. With that decision made, I was caught off guard by her next question--"Want to coach?" 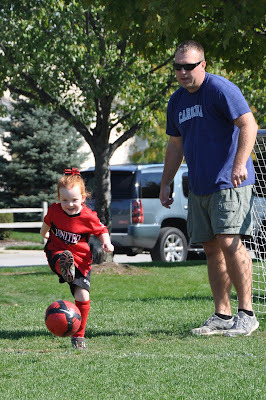 As a 3 sport athlete growing up (Baseball, Basketball & Football), I watched my dad lead several of my childhood teams. 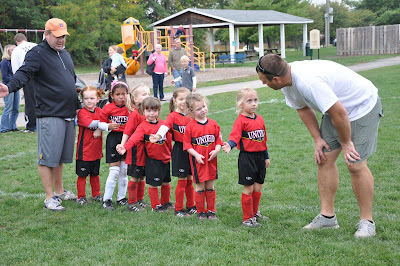 I always said I'd coach my kids at some point, just didn't realize it would be GIRLS and SOCCER. My dad was a great coach and made sports fun. He instilled competition and camaraderie with all our teams, but his overall goal was always to make sure every kid played equally regardless of skill and to recruit kids with GLM's (Good lookin' moms). I was ultra competitive growing up with a brother just 14 months younger that followed in my footsteps and played every sport I did. I hope that A & L would acquire a competitive spirit as they will always have a teammate in the house as long as they continue to choose the same sports. Will I be too hard on them? Will I be one of those coaches that I hated? 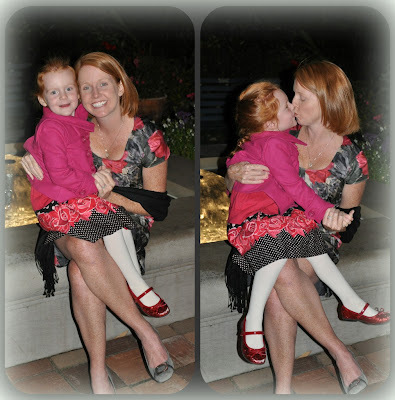 Would I play favorites to my own kids? What are the rules to soccer anyway? Will Aimee be a wreck on the sidelines, yelling & embarrassing me? Will this interfere with my golf or lake schedule? 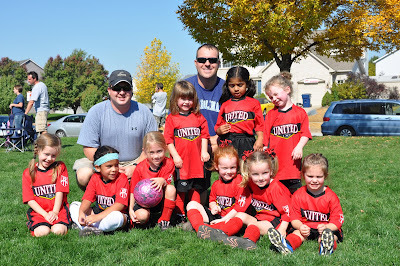 However, after some consideration and a fellow dad convincing me we could co-coach, I signed up, thinking I had nothing to lose...except of course the fact that A & L may never want to play for me again. It has been one of my favorite "dad' activities to date! Lilly added a third--no hitting, biting, pushing, or pulling hair. Bottom line: it's herding cats. I didn't have high aspirations of teaching them much about the actual game, but I wanted to give them the experience of a 'team' sport and to send them home tired. If the ball made it in the right goal occasionally, it was a great day. We practice once a week and have a game every Saturday. Our first game we were defeated by over 20 goals (we aren't supposed to be keeping score, but how could you not, at least in my own head). I was depressed. 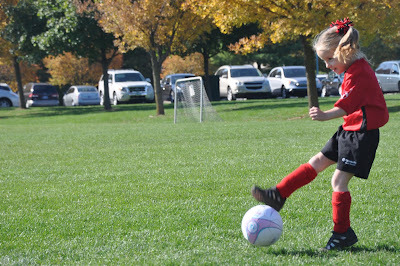 But, we've now won 3 in a row and I was so proud during last week's game, each girl scored a goal. 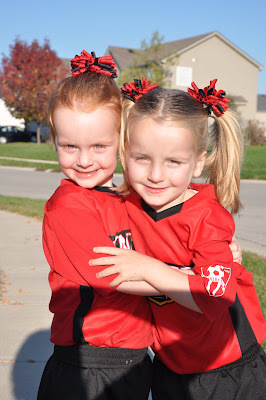 We have one game left and told the girls it's the "World Cup Finals". 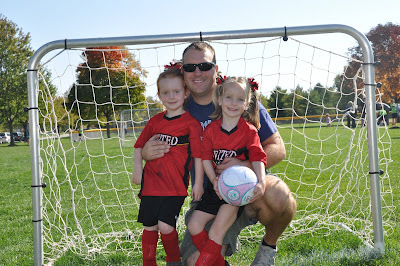 My girls are growing up so quickly and all I can hope for is that they let me continue to coach them in the coming years!